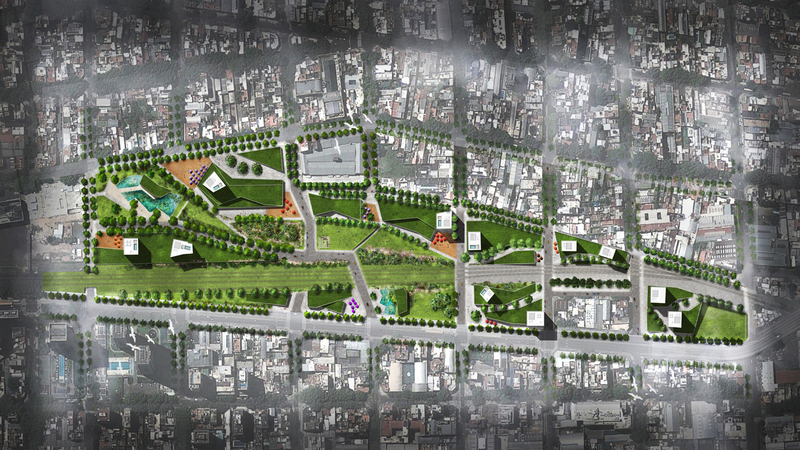 Located along the Palermo Railway tracks in Buenos Aires, the site of Nuevo Palermo is bisected by an active railroad and flanked by two socially and typologically dissimilar neighborhoods, Palermo Hollywood and Palermo Soho, whose only shared characteristic is a lack of green space. 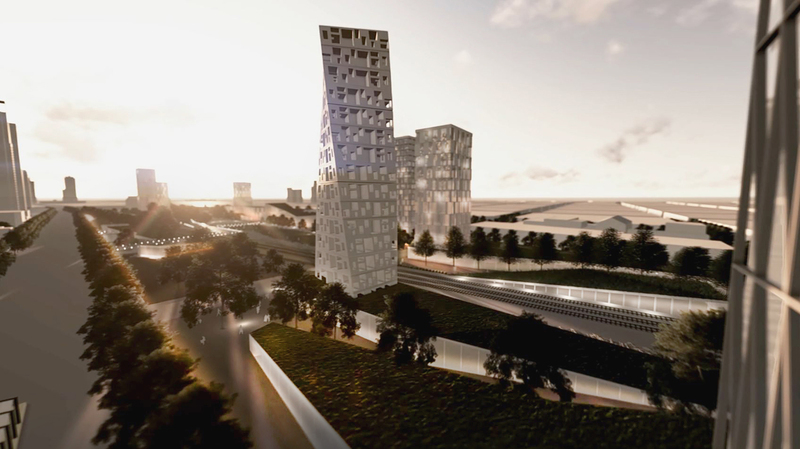 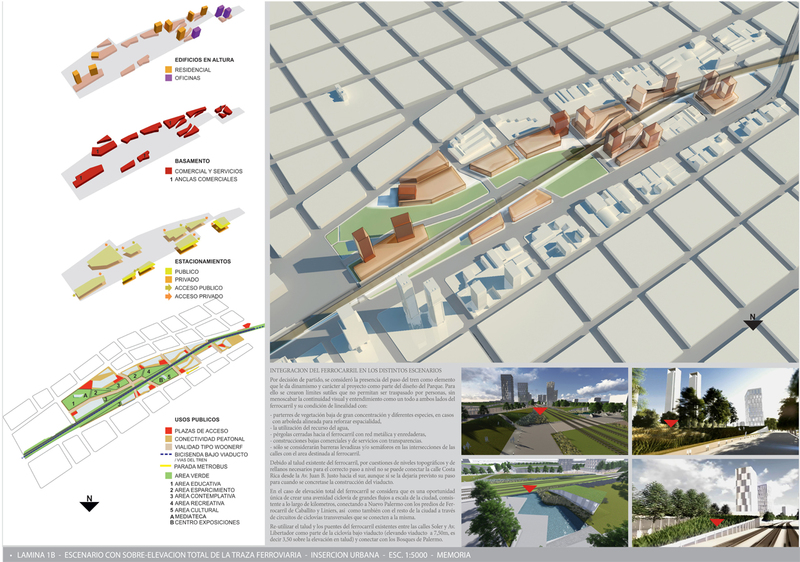 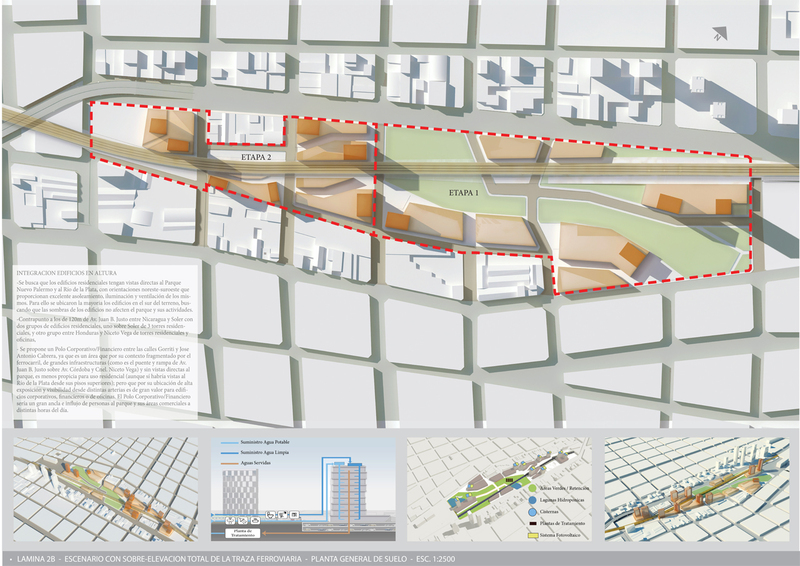 This proposal for the Palermo Railway Tracks Development Master Plan Competition is an ecologically and culturally aimed project that will create a destination Park, occupying 65 percent of the land, and commercial space on the remaining expanse that will employ green roofs and other open spaces that add to nearly 90 percent of the site as a green space. 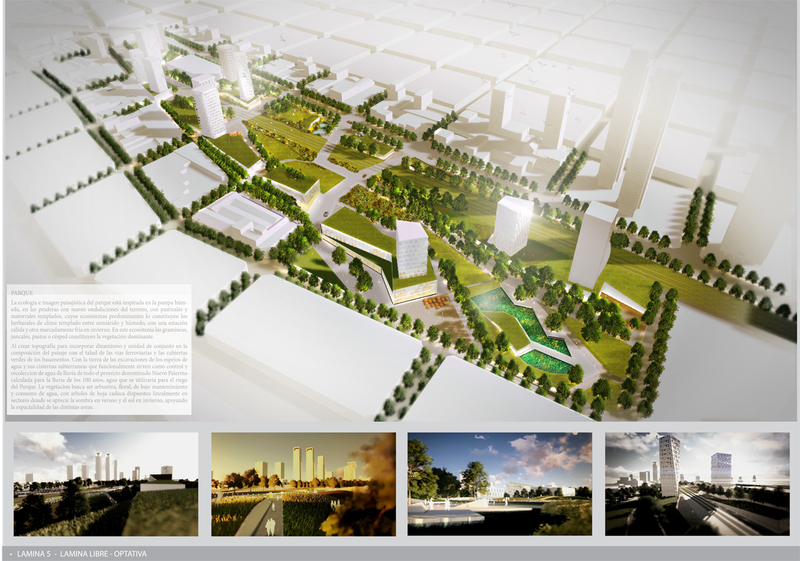 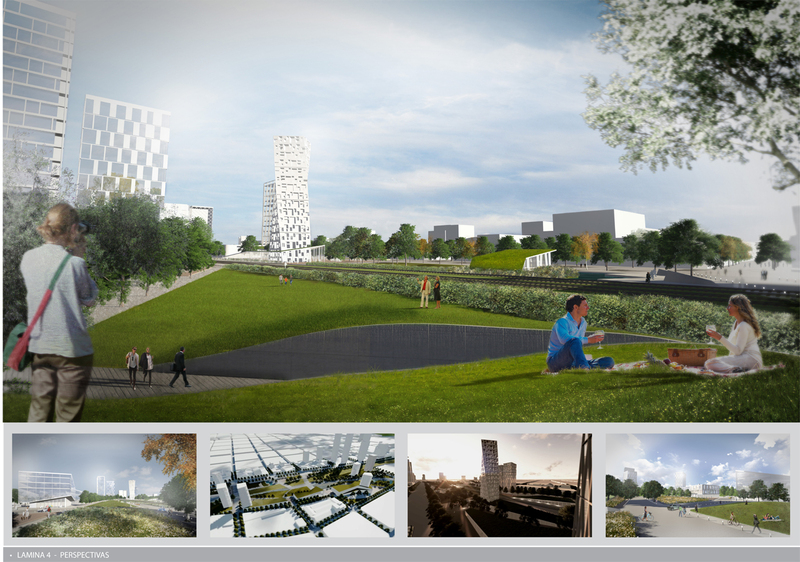 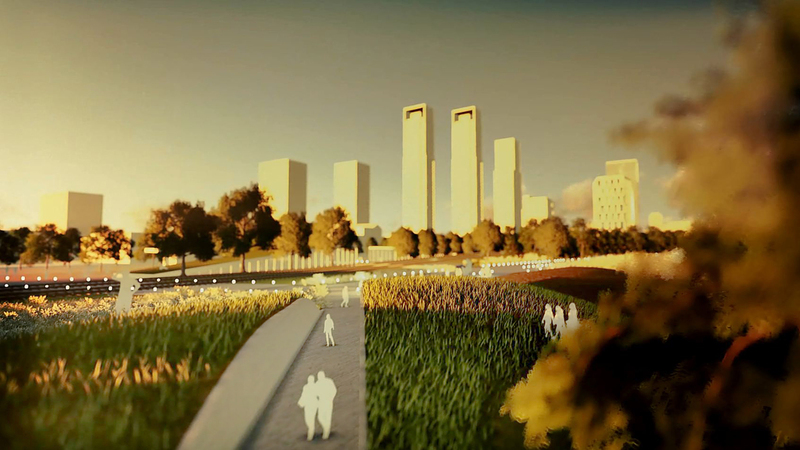 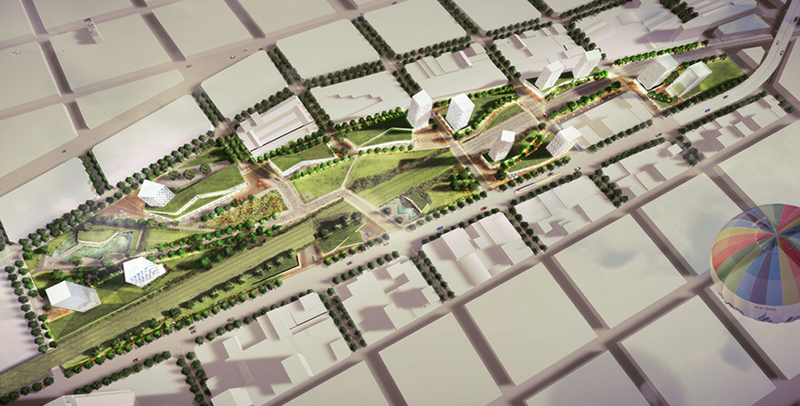 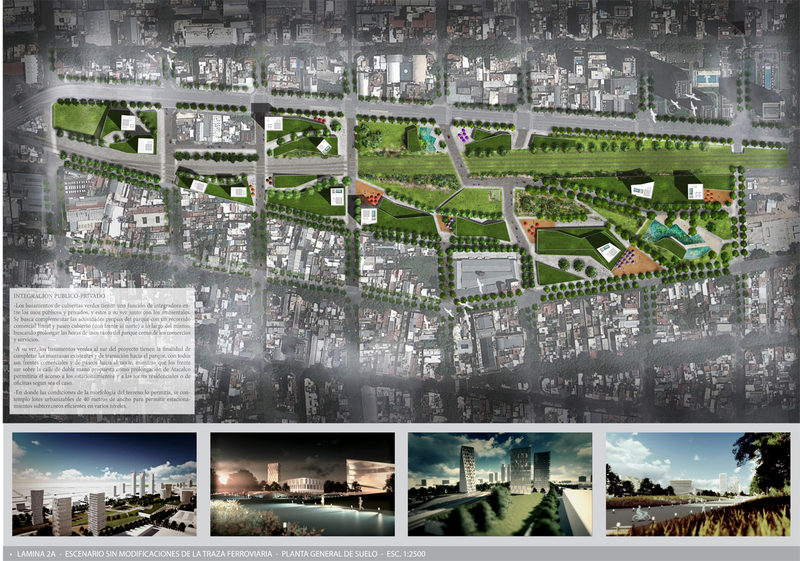 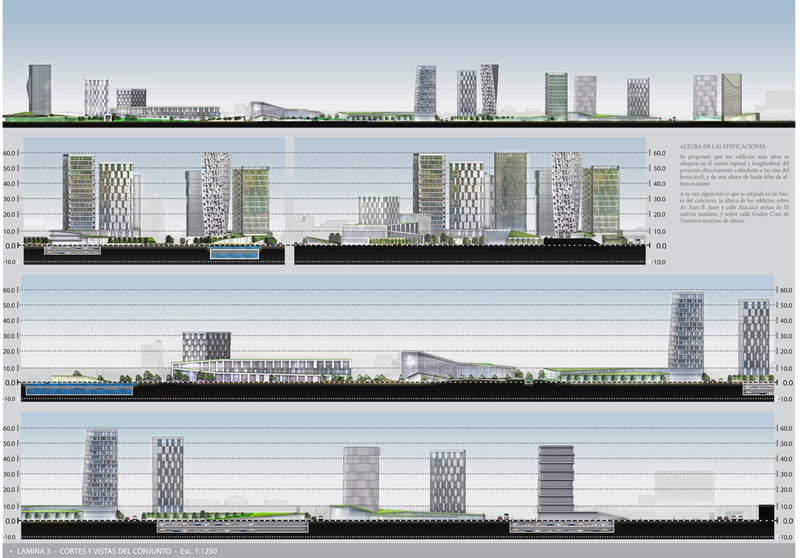 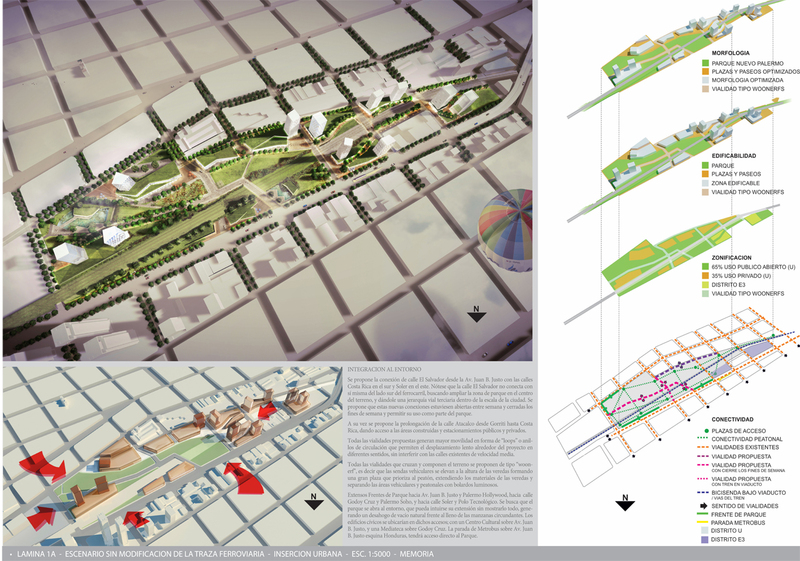 Inspired by the Humid Pampa ecosystem, the Park’s landscape would feature prairies, retaining ponds, grass meadows and isolated forests strategically arranged for social use, and aiming to buffer the train line while strategically allowing for open views to buildings and the adjacent neighborhoods.